??????????????????????????? ?, ???????????????? (????????????????).? ??????????????????????????? ??????????????????????? : ??????????? ?, minimart ??????????????????????????????????????. ???????????????????????????????????????????????????????????. ??????????? ?, ????????????????? ?????????????????????????? ???????? ???????????????? ??????????????????????????????????? ?, ???????? ??? ???????????????? ???????. ?????????????????? ?, ???????? ?????????????????? ??? ???????????? ???. ???????? ??? ?????????? ?, ??????? ??? ?????. Most of the foreigners who come to Laos are from Australia, Europe, America, Japan and Korea. Some come to work in aid organizations and NGOs, others come for business. Some are miners, hydropower experts, teachers or volunteers. 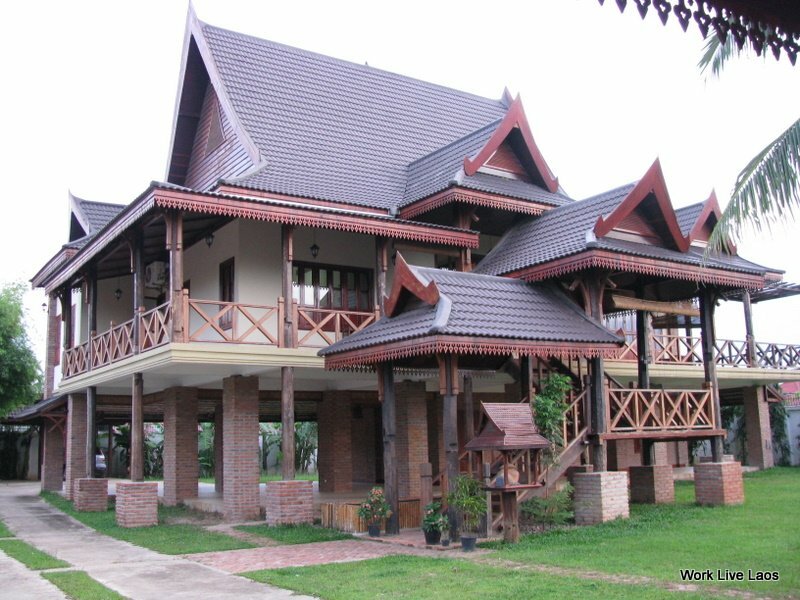 Because foreigners are unable to own property in Laos, almost all of them will rent a house or apartment. Foreigners usually come from the Northern Hemisphere where the weather is very cold. As a result of this weather it is often very dark. When foreigners come to Laos, they want to see the sun and they like light colours. Most foreigners would like to live in a bright house with lots of windows and lots of sunlight. 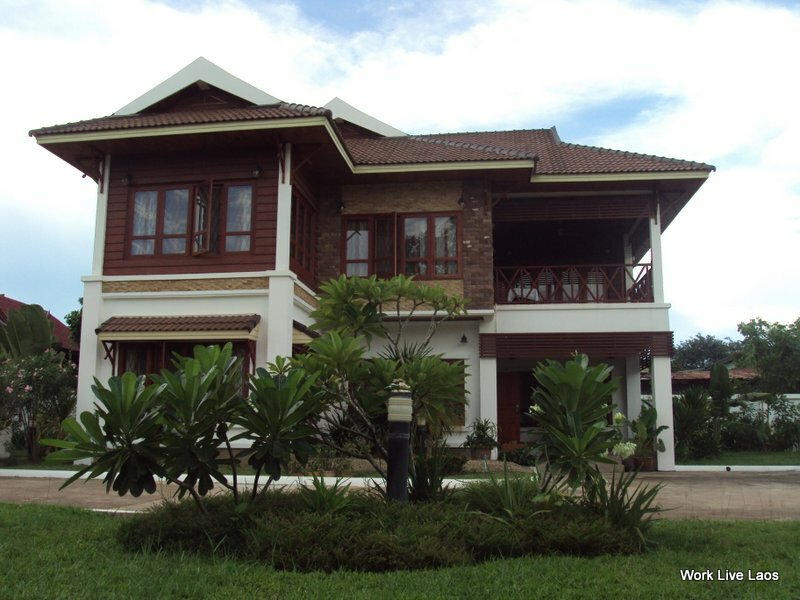 Foreigners generally prefer a clean, modern and bright house which is close to minimarts that stock foreign food, schools such as Vientiane International School and fitness centers like Sengdara. They prefer to live on a paved road if possible. These days many foreigners are concerned about illegal logging, so they are often suspicious of wooden houses. Some foreigners enjoy living in a wooden house, however, because it is a novelty for them. Wood is difficult to obtain in Europe and Japan, so a wooden house is interesting for foreigners. A wooden house, however, does not need to be dark. If you build a house from wood, make sure you include large windows and place them so they let in plenty of sun. A tidy house gives a better impression than an untidy one. When visiting a house, most foreigners will look at every detail – after all they will be paying money to stay in the house. If a house seems dirty they will not wish to rent it. Make sure you always keep your house clean and tidy before letting foreigners come to see it. Here are some low-cost ways to ensure your house looks its best when foreigners visit. Remove untidy items such as plates in the kitchen, clothes or toys on the floor. Just follow these simple steps for a better chance of renting your house out to foreign tenants. In Part Two of this series we will discuss ways to renovate or decorate an existing house to make it more attractive to foreigners.